Armeena Khan’s Recent Pictures from Italy Will Make You Want to Pack Your Bags! 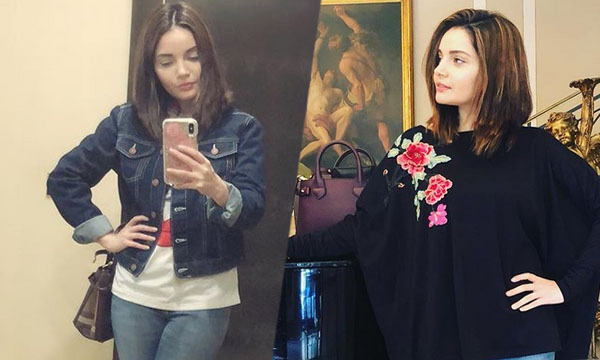 The gorgeous Armeena Khan always seems to be moving to different places from time to time and she keeps her followers updated about everything she does. The Pakistani-Canadian actress is in Italy these days for a work project and her pictures will make you want to pack your bags and leave for Italy right away! A few days back, Armeena posted this tweet before leaving for Italy and asked her fans to stay tuned to her social media accounts if they wish to see her travel updates! Armeena also posted this picture on her Instagram account before catching up the flight to Italy and in this perfect travel outfit, she looks exceptionally cute! Apparently, Armeena is in Italy for shooting for her upcoming project and she’s having great fun while working in this super chilled weather of Italy! The caption says it all! When you love your job and enjoy each and every minute of it, then you are truly blessed. Covered in a space blanket and also a foil, Armeena is having a fantastic time in Europe. From Matera to Bari, she’s been exploring different cities of Italy and her pictures are absolute travel goals! Armeena is referring to this trip as an adventure and on the mountaintop in the cold weather of Italy, it can’t get more exciting! Armeena Khan’s look from Bari, Italy! She also tweeted about the lovely weather from Bari! The view from her hotel! Another one from the Palace Hotel in Bari, Italy! Not only her pictures from these heartwarming locations are making us want to travel right now but also, Armeena’s super cool outfits are some serious goals. Armeena has also tweeted about her amazing experience in Italy with her team and she can’t wait to work with them again! Armeena sure had some great time in Italy while working on a project and her pictures literally want us to travel to Italy asap! Next articleAisi Hai Tanhai Ended with A Powerful Message for All of Us!